A little knitting and a lot of planning for upcoming events on today's show. Plus a couple of knitting tips, the perfect spirit buttons and some bee talk. Marsha and Kelly will be at Stitches West and Marsha will be at Edinburgh Yarn Fest. Also don't forget the Sheep Thrills KAL/CAL which starts on March 1. 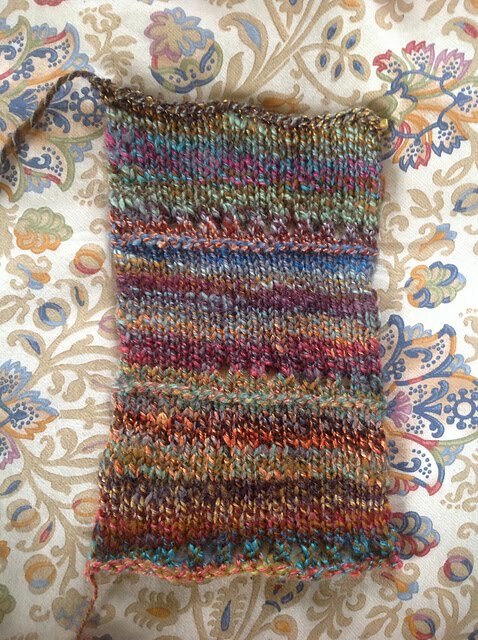 Check out the Ravelry group thread for details. Marsha started her second combo spin sweater so she'd have something going when the Opteka is finished. She is quite close to finishing Opteka. Kelly continues to work on the Indigo Frost poncho. Another careless moment led to a mistake. Instead of ripping back 8 rows of over 300 stitches, she attempted to rip out and re-knit only the section of 66 stitches that contained the mistake. It worked really well and the poncho is back on track. 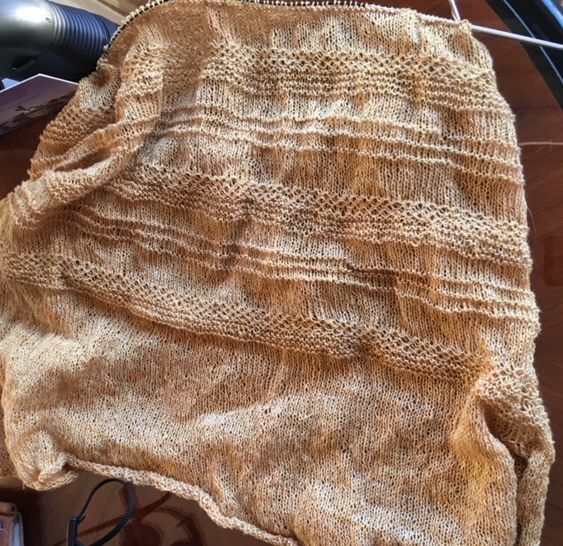 Since the poncho had a mistake that needed to be repaired in a quiet time period, Kelly pulled the linen Summer Fjord top back out and put about an inch on it. 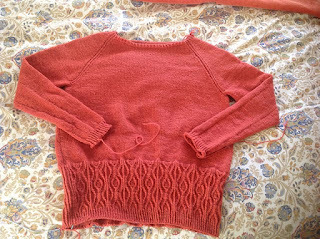 It has a few inches to go before the bottom ribbing and will be finished in time for warmer weather. 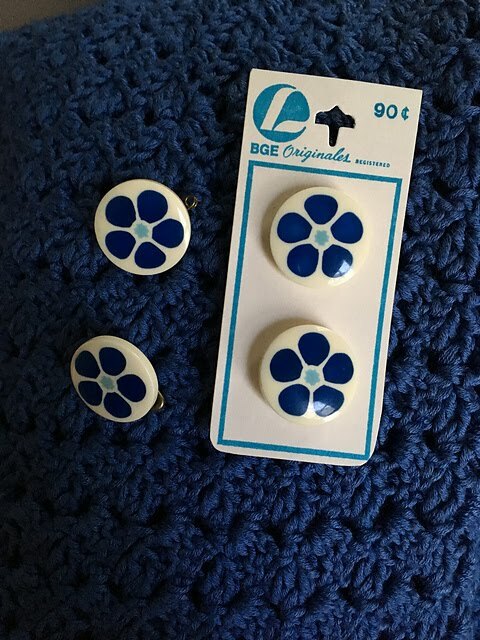 Kelly also found the perfect buttons for her Curious Cardigan. 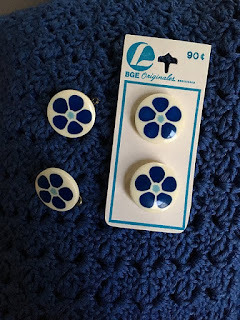 They are buttons from Marsha's mother's button tin and they'll be perfect! Kelly and Marsha talk about the bees. Kelly did some honey harvesting since the bees aren't going to need their honey for the quickly retreating California winter. Kelly also suggested that people who want to plant for the bees consider trees, or at least shrubs for their concentrated volume of nectar or pollen. Xerces society has plant lists for different areas of the country if you are interested.